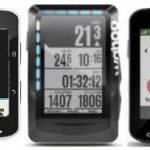 You are here: Home / Cycling Reviews / Average Joe Cyclist Product Reviews / Some of our TOP Cycling Posts! Some of our TOP Cycling Posts! Here are some of the TOP cycling posts on Average Joe Cyclist. Many thousands of readers have enjoyed these top cycling posts. All these happy readers make all our research and writing worthwhile – thanks for reading! In case you missed any of them, each entry below is linked to the original post. Some people love to criticize cyclists. I have had little old ladies launch into me in elevators to tell me that I don’t pay taxes. 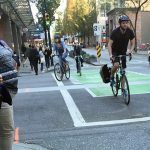 Bizarre – if there is a box in my tax return forms that says “Exempt from paying taxes because I ride a bike” – I am sorry to say I cannot find it! In any event, some cyclists have it much worse, as you can see in the video in this post. The video shows an appalling incident in Essex, England, caught on the cyclist’s helmet cam. The white van driver was on his cell phone, and almost clipped the cyclist, so the cyclist shouted at him to get off his mobile phone. The van driver then cut off the cyclist – and knocked him right off his bike. The driver leapt out of the van, hurled abuse at the cyclist, and punched him. Wow! I am happy to say that the driver was fired from his van-driving job. The video is not for the faint of heart, due to violence and language. The best thing you can do to protect yourself on your bike is to be well lit. My complete guide to bike lights will help you figure out the best bike lights to be seen, and to see where you are going. 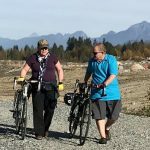 Yep, headphones on a cycling blog. The truth is, a whole lot of cyclists use headphones – regardless of whether everyone agrees that cyclists actually SHOULD wear headphones. This post looks at one of the most popular BlueTooth sports headphones of all time – the Jaybird X. Jaybird has just released a new version of these, which it calls the X2 – and claims that the X2 are a massive, “game-changing” upgrade. The facts behind this extravagant claim are really quite shocking. This is a truly great electric bike kit. BionX manufactures premium electric bike motors and batteries that can be retrofitted to almost any bike. It’s a way to turn almost any old bike into an electric bike. It’s not cheap – quality this good cannot be cheap – but it can be a cheaper option than buying one of the new premium factory-made electric bikes – especially if you want to use your existing bike, and maybe go back to a regular bike in the future. This is a comprehensive review of this elite, almost indestructible electric bike kit. The 2014 Specialized TriCross is an ideal commuter bike for the urban bike commuter. Rugged and strong, but light, this bike has it all. Readers loved this review, which shows me that the tricross bike is enjoying a much-deserved rise in popularity. And of course, you CANNOT go wrong with a Specialized bike – how I love them! 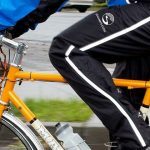 This post is constantly popular worldwide, because cycling knee pain is a problem all over the world. This post describes a great cure that has worked for thousands of people, including Maggie and me. Many people have written to say it worked for them; no doubt this is why it has stayed on my list of top cycling posts for years. Read all about it here. This is a post about one of the most beautiful cycling routes in the world, in the beautiful, unique city of Montreal, Canada. Montreal cycling is wonderful, and one of the best rides is this flat and offroad ride along the historic Lachine Canal Bike Path. Also in this post are links to my other posts on cycling in Montreal, including How to Rent Bikes in Montreal. 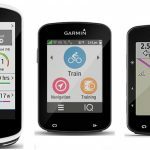 This post has stayed near the top of my list of top cycling posts almost every week for two years – so it seems that everyone wanted to read about this great bike computer from Garmin! 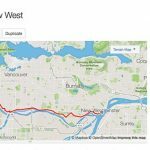 This is the first bike computer designed to help touring cyclists find their way around. 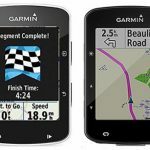 Garmin got a lot of things right with the Garmin Edge Touring! Read the full review here. Every cyclist should have a good windproof cycling balaclava. Here are the key issues to take into account when choosing the best cycling balaclava. This post is hugely detailed and extremely popular. I did hours and hours of research and testing to figure out how to choose the best cycling balaclava. This post includes a table comparing key features of the top 7 balaclavas. After all my research, Maggie really loved her Christmas cycling balaclava! At no. 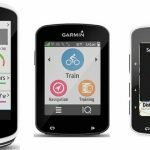 1 is this very popular post that offers an in-depth comparison of the Garmin Edge 510 vs 810 vs 1000. It includes a table that compares every important feature, so you can evaluate which of these three premium bike bike computers best fits your needs. before buying from Amazon; or any of the other affiliate links on this page. Small commissions help pay for our time. Or BEST OF ALL – just SUBSCRIBE to our blog. It makes you part of our community, and gets you free weekly updates about our posts – as well as a Free Download of our Bike Buyer’s Guide. Thanks in advance – reader support keeps us going and makes it all worthwhile!